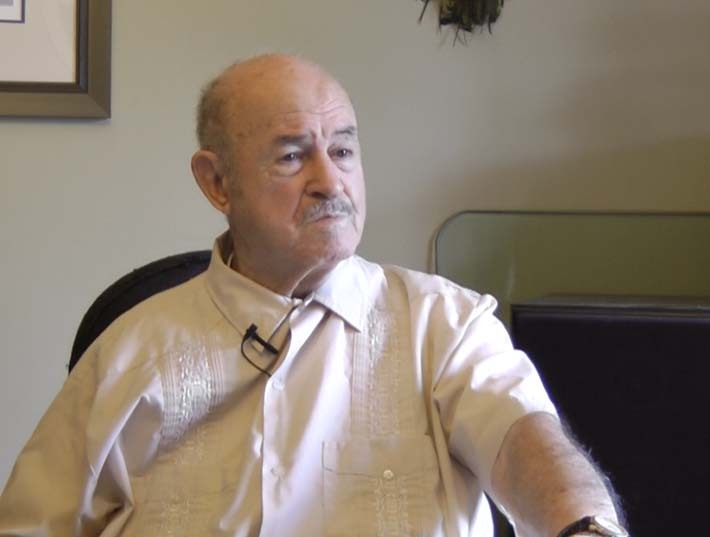 In his interview, Aldo Bacci talks about growing up in the Italian communities of Detroit and Toronto and his experiences as an Italian Canadian during World War II. Aldo’s father, Ruggero Bacci, served in the Italian military, and came to Canada at the age of 17. Ruggero was a member of the Fascist Party, and he remained in close contact with Italy while he was in North America. Ruggero was also a prominent member of many Italian organizations, including the Casa D’Italia. Aldo recalls riding home on the streetcar on June 10, 1940 and hearing about Italy's war declaration. The same day his father, who was at work, was picked up by the police and eventually interned. Due to his father's absence Aldo, who had just finished grade 9, had to quit school and start working. His father was released from camp on May 25, 1943 and the same day Aldo was conscripted into the Canadian military. In his interview Aldo also describes the types of discrimination that Italians faced during the war years. Aldo Bacci passed away on December 24, 2015 in Richmond Hill, Ontario. He is survived by his large and loving family.